The 5th annual Vail Bluegrass series is a free Wednesday night event in Lionshead Village from 6 to 9 p.m.
On July 18, conductor Matt Butler will lead his ever-changing lineup of musicians the Everyone Orchestra through 2 hours of non-stop improv. The band will feature Drew Emmitt of Leftover Salmon, Rev. Jeff Mosier of Aquarium Rescue Unit, Bridget Law & Darren Garvey of Elephant Revival and Tyler Grant & Adrian Engfer of the Grant Farm. Durango band Liver Down the River will open. Everyone Orchestra recorded their first studio album, “Brooklyn Sessions,” in 2012, an album that was largely improvised. 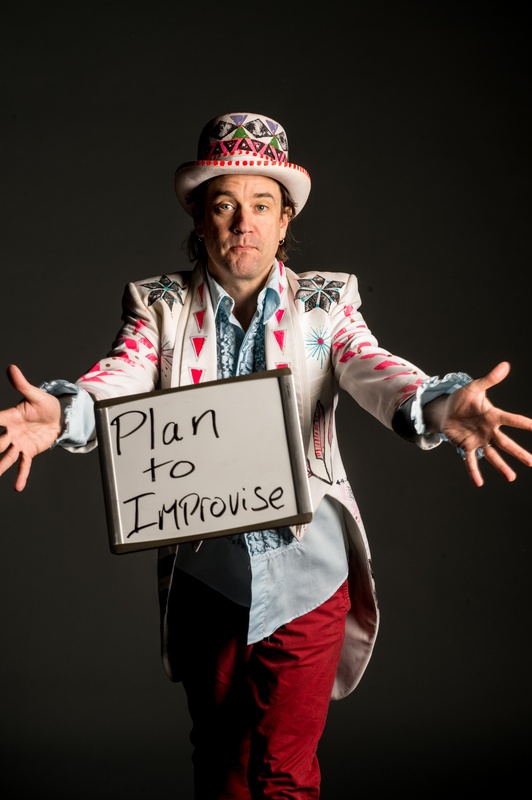 Butler has since taken the Everyone Orchestra participants, both on stage and off, on improvisational journeys with the most diverse of lineups at festivals, theaters and philanthropic events both nationally and internationally. A laundry list of hundreds of musicians, dancers, singers, guest conductors and community organizations have embraced the experience of EO in single shots of musical adrenaline to the soul. Tuning in to his energy, the band and audience utilize The Conductor as their pivot to the set mood of each passing jam as he communicates with the musicians using hand signs, whiteboard and assorted mime suggestions. As always, Vail Bluegrass will partner with and recognize a local non-profit that goes above and beyond in their respective space. This summer the will work alongside the town of Vail's Restore the Gore initiative to kick back some of the funds raised through our onsite raffles. Sponsors and partners include the Town of Vail, the Antlers at Vail, Vail Mountain, Moe's BBQ, Never Summer, Icelantic Skis, All Four Guitars, Visit Vail (Vail Chamber and Business Association), Breckenridge Brewery and Eco Products.